The author pours her heart out about the pain of losing both her children in an emotional memoir. Lyneva Hook’s story will do more than just inspire people of her resilience and positivity; she will bring more people to understand about losing an adult child. The Minnesota born and current Iowa resident lost her son Andy, then 19, to an auto accident in 2001 and her daughter Christy, then 35, to an aggressive form of cancer. A double tragedy it was for Lyneva but beneath it is a story of her incredible faith and trust in God who bestowed on her the courage and willpower to get through every stage of her grief. Some time after losing both Andy and Christy, Lyneva came to a beautiful realization. “The whole while since losing Andy, I saw God every day, in one way or another. I feel like it was a learning time for me to help me realize I never lost them but gained two angels. They continuously let me know they’re around. They show me signs all the time, which can be what you least expect from what I have learned. They are there whenever I call on them and never any farther away than a whisper. They are comforting and funny at times. I love when I hear them laugh, it is one of the things I miss the most. Our relationship is very different from what it used to be, but it’s very pure, honorable and all truth and heart. Who could ask for more than that. Be inspired by Lyneva Hook’s inspiring spiritual story. 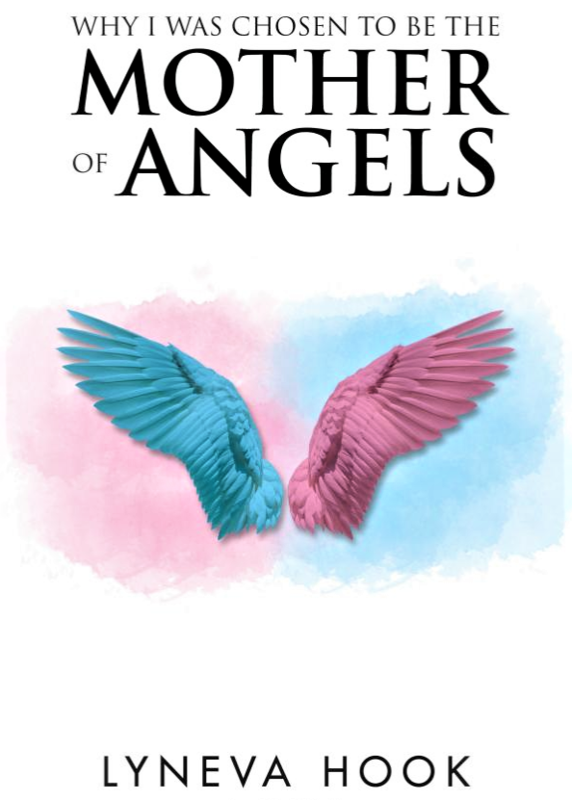 Order a copy of “Why I Was Chosen to Be the Mother of Angels” through Amazon and Barnes & Noble. Watch out for the public display of this heart-wrenching memoir at the upcoming 2018 Miami Book Fair on November 11-18 at the Miami Dade College’s Wolfson Campus in Downtown Miami. Lyneva’s story has touched many lives along her path. She has been able to reach many people through her sermons, children’s sermons, her massage therapy and energy work, inner circles and even mere acquaintances. Always looking at her life as a glass half full instead of half empty. She has always been an optimist and has been able to see the good in all people. Knowing that a warm smile can go a long way in touching someone’s heart.